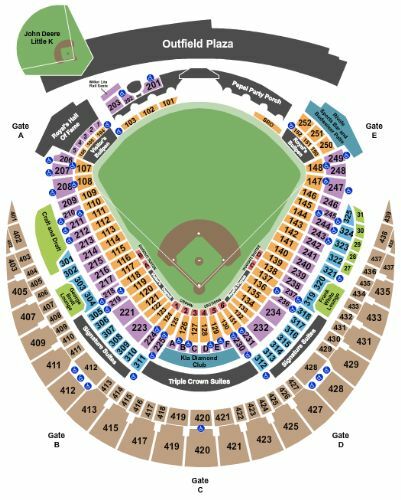 Kansas City Royals vs. St. Louis Cardinals Tickets - 8/14/2019 - Kauffman Stadium in Kansas City at Stub.com! First row in this section. First row. These seats are directly behind the visiting team dugout within the first ten rows.